For other Swedish royalty named Carl, see Carl of Sweden (disambiguation). Carl XVI Gustaf (Carl Gustaf Folke Hubertus; born 30 April 1946) is the King of Sweden. He ascended the throne on the death of his grandfather, King Gustaf VI Adolf, on 15 September 1973. He is the youngest child and only son of Prince Gustaf Adolf, Duke of Västerbotten, and Princess Sibylla of Saxe-Coburg and Gotha. His father died on 26 January 1947 in an airplane crash in Denmark when Carl Gustaf was nine months old. Upon his father's death, he became second in line to the throne, after his grandfather, the then Crown Prince Gustaf Adolf. Following the death of King Gustaf V in 1950, Gustaf Adolf ascended the throne and thus Carl Gustaf became Sweden's new crown prince and heir apparent to the throne at the age of four. A short while after he became king in 1973, the new 1974 Instrument of Government took effect, formally stripping Carl XVI Gustaf of any role in the legislative process, and several other duties normally accorded to a head of state, such as the formal appointment of the prime minister, signing off legislation, and being commander-in-chief of the nation's military. The new instrument explicitly limits the king to ceremonial functions and, among other things, to be regularly informed of affairs of state. 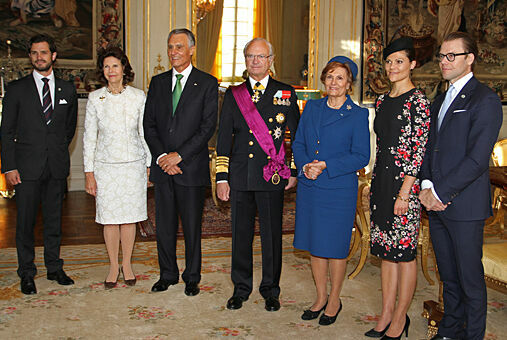 As head of the House of Bernadotte Carl Gustaf has also been able to make a number of government-supported decisions about the titles and positions of its members. 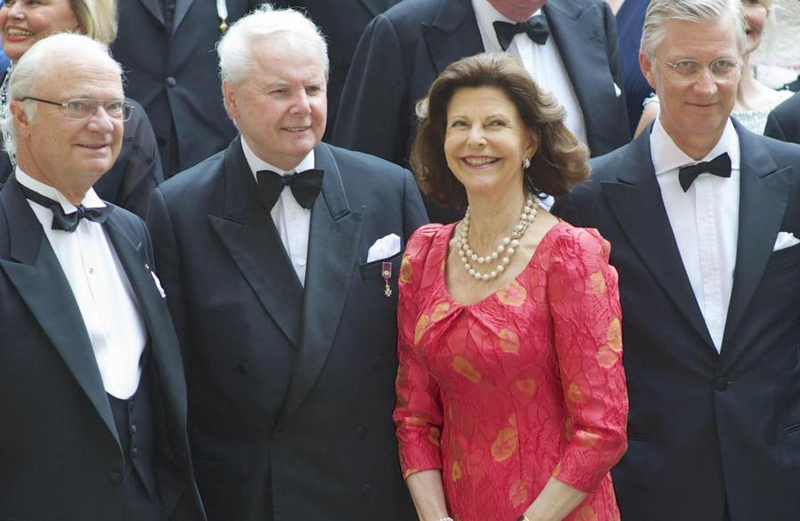 The king's heir apparent, after passage on 1 January 1980 of a new law establishing absolute primogeniture (the first such law passed in European history), is Crown Princess Victoria, the eldest child of the King and his wife, Queen Silvia. Before the passage of that law, Crown Princess Victoria's younger brother, Prince Carl Philip, was briefly the heir apparent, as of his birth in May 1979. Carl XVI Gustaf is the longest-reigning monarch in Swedish history, having surpassed King Magnus IV's reign of 44 years and 222 days on 26 April 2018. Carl Gustaf was born on 30 April 1946 at 10:20 in Haga Palace in Solna, Stockholm County. He was the youngest of five children and the only son of Sweden's Prince Gustaf Adolf and Princess Sibylla. He was christened at the Royal Chapel on 7 June 1946 by the Archbishop of Uppsala, Erling Eidem. He was baptised in Charles XI's baptismal font, which stood on Gustav III's carpet and he lay in Charles XI's cradle with Oscar II's crown beside him. The same christening gown in white linen batiste which the prince carried had been worn by his father in 1906 and would later be worn by his three children. His godparents were the Crown Prince and Crown Princess of Denmark (his paternal uncle and aunt), the Crown Prince of Norway, Princess Juliana of the Netherlands, the King of Sweden (his paternal great-grandfather), the Hereditary Prince of Saxe-Coburg and Gotha (his maternal uncle), the Crown Prince and Crown Princess of Sweden (his paternal grandfather and step-grandmother), and Count Folke and Countess Maria Bernadotte af Wisborg. Prince Carl Gustaf was also given the title of the Duke of Jämtland. His father, Prince Gustaf Adolf, Duke of Västerbotten was killed in an airplane crash on 26 January 1947, at Copenhagen Airport. His father's death had left the nine-month-old prince second in line for the throne, behind his grandfather, then Crown Prince Gustaf Adolf. When his paternal great-grandfather Gustaf V died in 1950, the four-year-old prince became the heir apparent of Sweden. His earliest education was received privately at the Royal Palace. The young prince was then sent to Broms school, and then on to Sigtuna boarding school. After graduating from high school in 1966, Carl Gustaf completed two and a half years of education in the Swedish Army, the Royal Swedish Navy, and the Swedish Air Force. During the winter 1966-1967 he took part in a round-the-world voyage with the mine-laying vessel Älvsnabben. The Crown Prince received his commission as an officer in all three services in 1968, eventually rising to the rank of captain (in the army and air force) and lieutenant (in the navy), before his ascension to the throne. He also completed his academic studies in history, sociology, political science, tax law, and economics at Uppsala University and later Economics at Stockholm University. To prepare for his role as the head of state, Crown Prince Carl Gustaf followed a broad program of studies on the court system, social organisations and institutions, trade unions, and employers' associations. In addition, he closely studied the affairs of the Riksdag, Government, and Ministry for Foreign Affairs. The Crown Prince also spent time at the Swedish Mission to the United Nations and the Swedish International Development Cooperation Agency (SIDA), worked at a bank in London and at the Swedish Embassy in there, at the Swedish Chamber of Commerce in France, and at the Alfa Laval Company factory in France. In 1970 he represented the King at the head of the Swedish delegation to the World Exposition in Osaka, Japan. Since his youth the present monarch has been a strong supporter of the Scout Movement in Sweden. The King and Queen of Sweden welcomed at the Kremlin by Russian President Vladimir Putin and his wife Lyudmila at the start of the King's State Visit to Russia, 8 October 2001. When Carl Gustaf ascended the throne, plans were already in place to replace the 1809 Instrument of Government, which made the King de jure chief executive. Though the King was a near-autocrat on paper, the Riksdag's authority grew steadily into the early 20th century. In 1914, Gustaf V made a speech which resulted in what is known as the Courtyard Crisis (Swedish: Borggårdskrisen) wherein he was accused of interfering with politics. With the principle of parliamentary democracy formally established since 1917, the King's actual direct involvement in policy-making lessened and the powers constitutionally vested in him were increasingly done by ministers in his name, notwithstanding the Instrument's stipulation that "the King alone shall govern the realm." The new 1974 Instrument of Government first took effect on 1 January 1975 and formally stripped the new king of most of his formal political powers and reduced him to a mostly representative and ceremonial role, thus codifying actual practices dating from the definitive establishment of parliamentary government in 1917. Previously, the King formally appointed the Prime Minister, though in practice he was almost always the leader of the majority party or coalition in the Riksdag. Since the adoption of the current Instrument, a prospective prime minister is nominated by the Speaker of the Riksdag, and if that candidate is elected by the Riksdag, the Speaker signs the commission (Swedish: förordnande). Additionally, bills passed by the Riksdag do not need Royal assent to become law. He is the foremost representative of Sweden and pays state visits abroad and receives those to Sweden, he opens the annual session of the Riksdag, chairs the Special Council held during a change of Government (Swedish: skifteskonselj), holds regular Information Councils with the Prime Minister and the Cabinet (Swedish: informationskonselj), chairs the meetings of the Foreign Affairs Council (Swedish: Utrikesnämnden), and receives Letters of Credence of foreign ambassadors to Sweden and signs those of Sweden to foreign nations. As this type of figurehead, he also voluntarily abstains from voting in Swedish elections. King Carl Gustaf holds the highest ranks in the three branches of the Swedish Armed Forces; this is due to the fact that he was, as stipulated by §14 of the 1809 Instrument of Government in effect at the time of his accession to the throne in 1973, the Commander in Chief (Swedish: Högste Befälhavare; not to be confused with the military professional holding the position of Supreme Commander) and therefore he was promoted ex officio from his earlier ranks of captain (Army & Air Force) and lieutenant (Navy), to general and admiral. Under the provisions of the Instrument of Government of 1974, which became effective on 1 January 1975, the King no longer holds this constitutionally-mandated position, but he kept his ranks à la suite since he no longer has any military command authority, except over His Majesty's Military Staff. 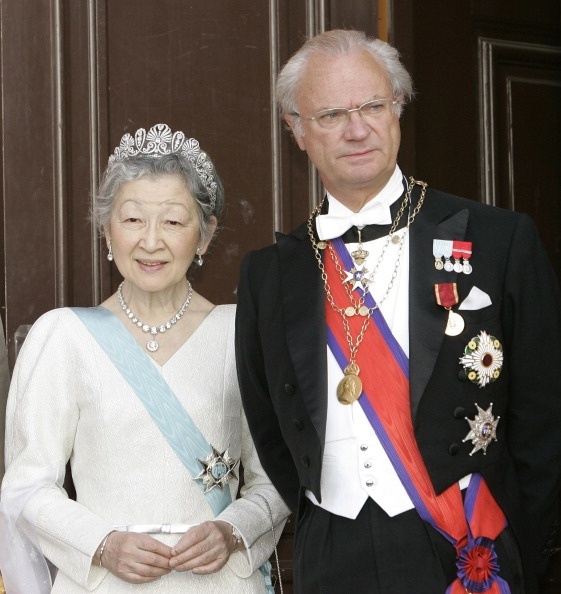 Worldwide, Carl XVI Gustaf is probably best known as the presenter of the Nobel Prizes each year; the first Nobel laureate who received the prize from his hands was Leo Esaki. He also hands over the Polar Music Prize. The King holds honorary doctoral degrees from the Swedish University of Agricultural Sciences, the Royal Institute of Technology, the Stockholm School of Economics and from the Åbo Akademi University in Finland. The King is passionate about the environment, technology, agriculture, trade, and industry. Like many members of the Swedish royal family, he has a keen interest in automobiles. He owns several Porsche 911s, a car model which is said to be a particular favourite of his as well as a vintage Volvo PV444, a Ferrari 456M GT, an AC Cobra and other cars. The first pictures taken of him and his future wife were of them sitting in his Porsche 911. In the summer of 2005 he was involved in a traffic accident in Norrköping. The accident was described as a "fender bender", with no serious personal injuries claimed. Nevertheless, the incident caused national headlines. The King and Queen of Sweden frequently travel to the Summer and Winter Olympic Games, including in 2014, 2016 and 2018. The King is the honorary chairman of the World Scout Foundation, and often participates in Scout activities both in Sweden and abroad. He regularly visits World Scout Jamborees, for instance the 1979 Dalajamb World Jamboree International Encampment hosted by Sweden, the 2002 World Jamboree held in Sattahip, Thailand, and the 100th Anniversary of World Scouting 2007 World Jamboree held in Hylands Park, England. He also attended the 1981 National Scout Jamboree in Virginia, United States, and was awarded the Bronze Wolf, the only distinction of the World Organization of the Scout Movement, awarded by the World Scout Committee for exceptional services to world Scouting, in 1982. He also attended the 22nd World Scout Jamboree. He gave a speech on 6 August 2011 at the closing ceremony with more than 40,000 people watching. The band Europe also performed for him singing "The Final Countdown". King Carl Gustaf made an appearance at the 2013 Boy Scouts of America National Jamboree in West Virginia. Together with King Abdullah of Saudi Arabia, King Carl Gustaf has supported the Messengers of Peace programme. So empowered as head of his house, King Carl Gustaf since he was enthroned in 1973 has made a number of personal decisions regarding the titles and positions of relatives and family members, including the demotion of a sister, elevation of several commoners to royalty, rebuff of an elderly uncle's wishes and the creation of new Swedish titles and duchies. 1974 his sister Christina married a non-royal Swedish man and Carl Gustaf followed the example which his grandfather and predecessor had set for two of Christina's older sisters with like marriages, so Christina was removed from the Royal House, no longer a Royal Highness and was given the courtesy title Princess Christina, Mrs. Magnuson (a special non-royal, non-noble style first invented in 1953 by King Haakon VII of Norway for his granddaughter Ragnhild). 1979 his son Carl Philip was born and Carl Gustaf created him Duke of Värmland (which has had dukes before). 1983 his paternal uncle Sigvard, since 1934 no longer Prince of Sweden because of a non-royal marriage to a German woman, supported by legal experts announced his own title as Prince Sigvard Bernadotte, 18 years later clearly citing a great-uncle Prince Oscar Bernadotte's title as his main precedent, but Sigvard died in 2002 with Carl Gustaf never having responded to his uncle's statement and with the Royal Court of Sweden consistently refusing to honor it. 2003 his paternal grandfather's first cousin Carl died and Carl Gustaf formally recognized his Belgian title by allowing Prince Carl Bernadotte on the gravestone at the Royal Cemetery which is owned by the king; 2014 he did the same there, allowing Carl's widow's name as Princess Kristine Bernadotte when she died. The King married Silvia Sommerlath, whose father was German and whose mother was Brazilian, and who had grown up in both countries. They met at the 1972 Summer Olympics in Munich, where she was an interpreter and host. The wedding was held on 19 June 1976 at Stockholm Cathedral and the ceremony was performed by the Archbishop of Uppsala, Olof Sundby. The wedding was preceded, the evening before, by a Royal Variety Performance, where the Swedish musical group ABBA performed "Dancing Queen" for the very first time, as a tribute to Sweden's future queen. The King and his family moved to Drottningholm Palace west of Stockholm in 1980. He and the Queen have maintained their business offices at the Royal Palace of Stockholm. Prince Carl Philip was born the heir apparent. However, a constitutional reform, which was already under way at the time of his birth, made his elder sister, Victoria, the heir apparent and Crown Princess of Sweden on 1 January 1980, according to the principles of absolute primogeniture, which Sweden was the first recognised monarchy to adopt. King Carl Gustaf objected after the reform, not to the succession by females but to the fact that his son lost the position and title which he had had since birth. 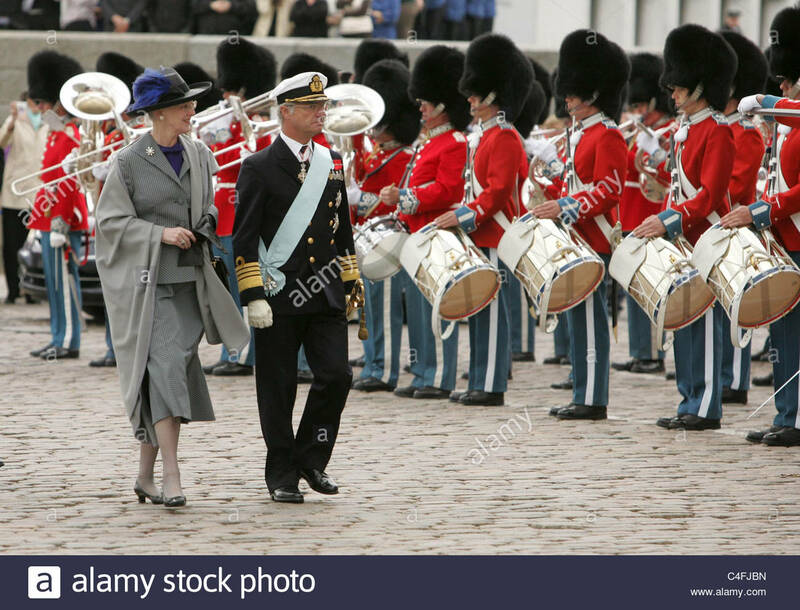 King Gustaf VI Adolf was the last who used the style "By the Grace of God King of the Swedes, the Goths/Geats and the Wends" (med Guds Nåde Sveriges, Götes och Wendes Konung; Latin: Dei Gratia Suecorum, Gothorum et Vandalorum Rex). This traditional title had been in use since the establishment of the hereditary monarchy in 1544. Carl XVI Gustaf instead chose the plain and simple title "King of Sweden" (Sveriges Konung), thereby ending a centuries-old tradition. In the 16th century, Johannes Magnus construed a mythical line of Swedish kings, beginning with Magog, the son of Japheth, in an attempt to substantiate the antiquity of the Swedish throne. Based on that list, King Charles IX (reigned 1604 to 1611) adopted an ordinal unsupported by reliable historical sources. The only two previous monarchs named Charles (Karl in Swedish) have traditionally been numbered by counting backwards from Charles IX, and subsequent monarchs by counting forward from him. 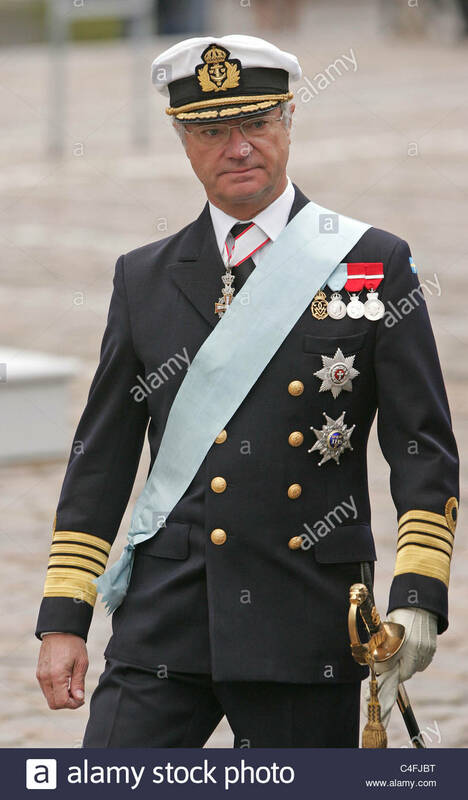 Adhering to that tradition, the current King of Sweden proclaimed himself Carl XVI Gustaf even though he is only the tenth Swedish monarch by the first name. 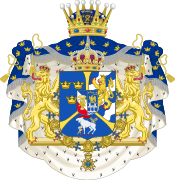 On his creation as Duke of Jämtland, Carl XVI Gustaf was granted an achievement of arms which featured the arms of Jämtland in base (these arms can be seen on his stallplate as knight of the Danish Order of the Elephant at Frederiksborg Palace). Since his accession to the throne, he has used the greater coat of arms of Sweden although he is still associated with the ducal title of Jämtland. ^ "King Carl XVI Gustaf now Sweden's longest-reigning monarch". 26 April 2018. Retrieved 29 May 2018. ^ "Kungens liv i 60 år" [King's life for 60 years] (in Swedish). Royal Court of Sweden. Retrieved 30 January 2017. ^ "The Royal Family: H.M. King Carl XVI Gustaf". Royal Court of Sweden. Retrieved 16 August 2012. ^ "Kungafamiljen: H.M. Konung Carl XVI Gustaf" [Kungafamiljen: H.M. Konung Carl XVI Gustaf] (in Swedish). Royal Court of Sweden. Retrieved 19 August 2012. ^ Altman, Lawrence K. (20 September 1973). "New King Begins Reign in Sweden". Retrieved 29 May 2018 – via NYTimes.com. 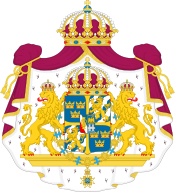 ^ "Monarkens uppgifter" [Duties of the monarch] (in Swedish). Royal Court of Sweden. Retrieved 19 August 2012. ^ Enqvist, Victoria (26 April 2006). "För Sverige - i bilen". Expressen (in Swedish). Archived from the original on 20 October 2017. Retrieved 19 August 2012. ^ "Swedish king crashes car". The Local. 25 August 2005. Archived from the original on 3 October 2012. Retrieved 19 August 2012. ^ "The King and Queen visit the Winter Olympic Games in Sochi". Swedish Royal Court. ^ Steve Reed (23 February 2018). "The king, the demon and a Swedish Olympic biathlon win". The Associated Press. ^ "The King of Sweden at the Jamboree". Archived from the original on 19 May 2009. ^ Wilkes, Collin (22 July 2013). "Jambopalooza, summit hikes – 'experience of a lifetime'". The Herald-Sun. Durham, North Carolina: Paxton Media Group. Archived from the original on 6 April 2015. Retrieved 24 July 2013. ^ Kilborn, Peter (20 June 1976). "Swedish Monarch Marries German as 150,000 Turn Out". The New York Times. p. 3. Retrieved 26 April 2017. ^ "Retro Romance: Sweden's Dancing Queen Silivia". Archived from the original on 15 July 2011. Retrieved 6 December 2010. ^ Peterson, Claes (24 November 2003). "Kungen: Grundlagen är lustig". Aftonbladet. Retrieved 19 August 2012. ^ "Kungl. Maj:ts kungörelse (1973:702) med anledning av konung Gustaf VI Adolfs frånfälle;" (in Swedish). 19 September 1973. Archived from the original on 19 February 2012. Retrieved 19 August 2012. ^ Westrin, Theodor, ed. (1910). Nordisk familjebok: konversationslexikon och realencyklopedi (in Swedish) (Ny, rev. och rikt ill. ed.). Stockholm: Nordisk familjeboks förl. p. 943f. LIBRIS 8072220. ^ a b c d e f g h i j k l m n o p q r s t u v w x y z aa ab ac ad ae af ag ah ai aj ak al am an ao ap aq ar as at au av aw ax ay az ba bb bc bd be "Kungens ordensinnehav" (in Swedish). Royal Court of Sweden. Retrieved 30 January 2017. ^ a b "Mariage princier en Suède : dîner de gala au Palais royal" (in French). Archived from the original on 10 March 2013. Retrieved 19 August 2012. ^ Cena de Gala de la Visita de Estado del Presidente de Argentina a Suecia, 1998-05-26. Ph: Erhan Güner/SCANIPIX SWEDEN (Id:sdlsp098aa1). ^ "Reply to a parliamentary question" (PDF) (in German). p. 457. Retrieved 16 October 2012. ^ "Stock Photography, Royalty-Free Photos & The Latest News Pictures | Getty Images". Corbisimages.com. 2 May 2016. Archived from the original on 3 March 2016. Retrieved 27 November 2016. ^ "Editorial & News Images: News Photography, Pictures, Awards, Events, Sports, Celebrity Photos | Getty Images". Corbisimages.com. 2016-05-02. Retrieved 27 November 2016. ^ "File:Kings of Sweden.jpg - Wikimedia Commons". Commons.m.wikimedia.org. Retrieved 27 November 2016. ^ "State visit of Lula da Silva in 2007, Photo of Presidential and Royal couples" (in Dutch). ANP Photo. Retrieved 19 August 2012. ^ "Swedish State Visit to Brunei: February 7-9, 2004". The Royal Forums. Retrieved 27 November 2016. 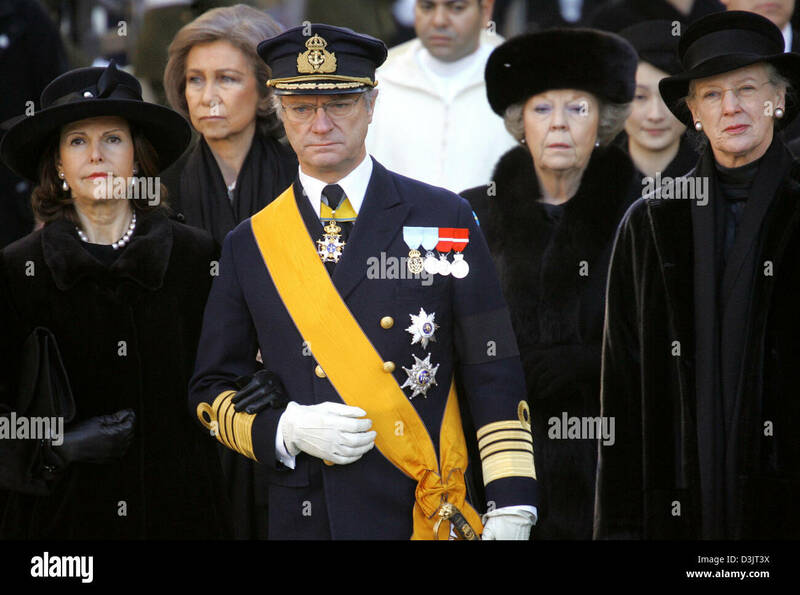 ^ "In Profile: Carl XVI Gustaf, King of Sweden Photos and Images". Getty Images. Retrieved 27 November 2016. ^ "First State Visit Of His Majesty King Carl Xvi Gustaf And Her Majesty Queen Silvia To Brunei In Bandar Seri Begawan, Brunei Darussalam In February 2004. Pictures". Getty Images. 2004-02-01. Retrieved 27 November 2016. ^ "State visit of President Georgi Parvanov of Bulgaria in Sweden 2007, Gala dinner group photo". Archived from the original on 15 May 2013. Retrieved 19 August 2012. ^ "State Visit from Bulgaria - Sveriges Kungahus". Royal Court of Sweden. Retrieved 27 November 2016. ^ a b "Persondetaljer Hans Majestæt Carl XVI Gustaf" (in Danish). borger.dk. Archived from the original on 29 May 2012. Retrieved 19 August 2012. ^ "Denmark, Sweden and Queen on Pinterest". Pinterest.com. Retrieved 27 November 2016. ^ "Sweden, Prince and Queen on Pinterest". Pinterest.com. Retrieved 27 November 2016. ^ "Estonian State Decorations, Carl XVI Gustaf" (in Estonian). Website of the President of Estonia. Retrieved 19 August 2012. ^ "File:Estpresident 1c300 5255.jpg - Wikimedia Commons". Commons.m.wikimedia.org. Retrieved 27 November 2016. ^ "Galamiddag för Estlands presidentpar på Kungliga slottet 1-6-7" (in Swedish). Royal Court of Sweden. Retrieved 19 August 2012. ^ "Les souverains suédois reçoivent le président estonien" (in French). Noblesse et Royautés. Archived from the original on 23 January 2011. Retrieved 19 August 2012. ^ a b "Legals - Reservoir Photo". www.reservoirphoto.com. Retrieved 29 May 2018. 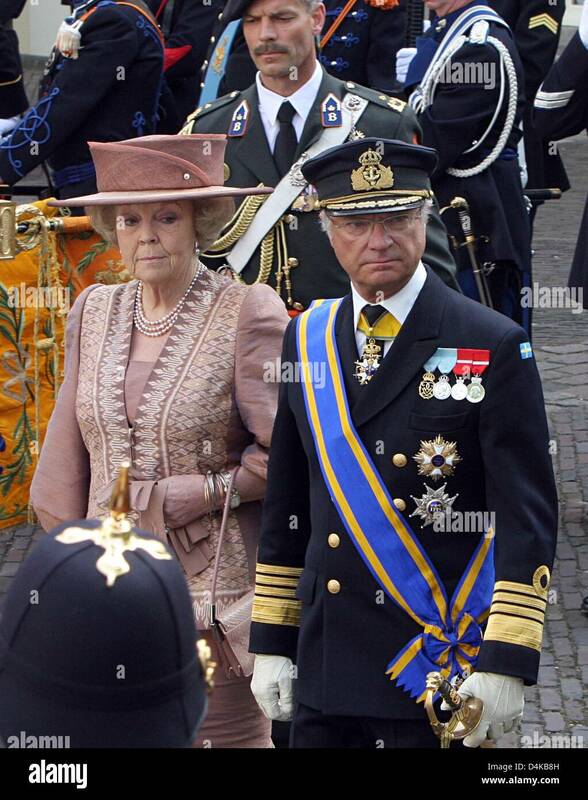 ^ "King Carl XVI Gustaf wearing the Grand Cross ribbon bar at the birthday of his cousin, Prince Andreas, Hereditary Duke of Saxe-Coburg and Gotha". Retrieved 27 November 2016. ^ "Galamiddag på Kungliga slottet" (in Swedish). Royal Court of Sweden. 21 May 2008. Retrieved 19 August 2012. ^ "The dinner, Iceland and Tiaras on Pinterest". Pinterest.com. Retrieved 27 November 2016. ^ "Order of the Falcon, search form" (in Icelandic). Archived from the original on 28 May 2013. Retrieved 19 August 2012. ^ "S.M. Carl XVI Gustaf il Re di Svezia - Decorato di Gran Cordone, Cavaliere di Gran Croce Ordine al Merito della Repubblica Italiana" (in Italian). Italian Presidency website. Retrieved 19 August 2012. ^ "Photos and Pictures - Pope John Paul Ii with King Carl Gustav, Queen Silvia, Princess Madeleine, Prince Carl Philip and Princess Victoria 1991 Photo by Reportagebild-ipol-Globe Photos, Inc". Imagecollect.com. Retrieved 27 November 2016. ^ "Tercentenary Birthday Celebrations For Carl Linnaeus Pictures | Getty Images". Gettyimages.ae. 2007-05-23. Retrieved 27 November 2016. ^ "State Visit to Japan - Radio Sweden | Sveriges Radio". Sverigesradio.se. Retrieved 27 November 2016. ^ "The President meets with King Carl XVI Gustaf and Queen Silvia of Sweden on state visit to Lithuania | President of the Republic of Lithuania". Lrp.lt. Retrieved 27 November 2016. ^ Hellen Electra (2015-10-07). "NEWMYROYALS & HOLLYWOOD FASHION: King Carl Gustaf and Queen Silvia state visit in Lithuania". Newmyroyals.com. Retrieved 27 November 2016. ^ "Galamiddag på Kungliga slottet 15/04/2008" (in Swedish). Royal Court of Sweden. Retrieved 19 August 2012. ^ "Visite d´Etat en Suède 15/04/2008" (in French). Cour Grand - Ducale de Luxembourg. Retrieved 19 August 2012. 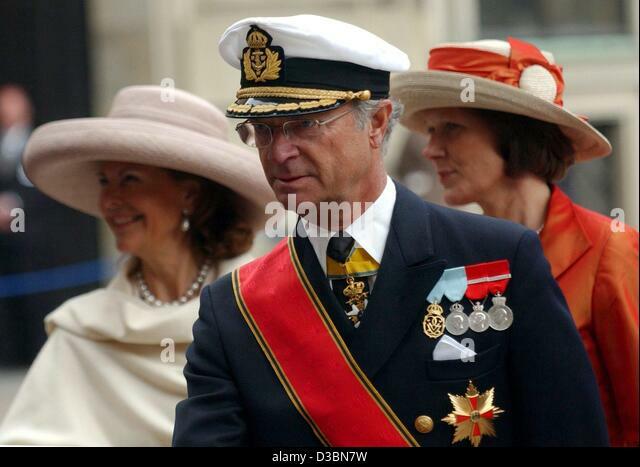 ^ "Carl XVI Gustaf in the background wearing the Grand Collar insignia". Pinterest.com. Retrieved 27 November 2016. ^ "The netherlands, Netherlands and Sweden on Pinterest". Pinterest.com. Retrieved 27 November 2016. ^ "Dîner de gala en l'honneur des souverains suédois" (in French). Noblesse et Royautés. 22 April 2009. Archived from the original on 20 December 2012. Retrieved 19 August 2012. ^ "Norway, The dinner and Queen on Pinterest". Pinterest.com. Retrieved 27 November 2016. ^ "Crown princess victoria, Princess victoria and Queen on Pinterest". Pinterest.com. Retrieved 27 November 2016. ^ "The state, Tiaras and Portugal on Pinterest". Pinterest.com. Retrieved 27 November 2016. ^ a b "Orders search form : type "REI Carlos XVI" in "nome", then click "Pesquisar"" (in Portuguese). Portuguese Presidency Website. Retrieved 16 October 2012. ^ "State visit from Romania - Sveriges Kungahus". Royal Court of Sweden. Retrieved 27 November 2016. ^ "Recipients of Order of the Star of Romania" (ms xls). Retrieved 19 August 2012. ^ "State honours : 1st Class received in 2002 (click on "Holders of the Order of the 1st Class White Double Cross" to see the holders' table)". Slovak Republic Website. Archived from the original on 13 April 2016. Retrieved 19 August 2012. ^ "1997 National Orders awards". Retrieved 19 August 2012. ^ "Sřk | Scanpix" (in Norwegian). Scanpix.no. 2016-01-09. Retrieved 27 November 2016. ^ "IN PICTURES: Nelson Mandela and Sweden The Local". Thelocal.se. 2016-11-22. Retrieved 27 November 2016. ^ "Boletín Oficial del Estado" (PDF). Retrieved 27 November 2016. ^ "Statsbesök från Tunisien – dag 1 - Sveriges Kungahus" (in Swedish). Royal Court of Sweden. Retrieved 27 November 2016. ^ "Tempus fugit mors venit... : Photo". Carolathhabsburg.tumblr.com. Retrieved 27 November 2016. ^ "BSP honors Sweden's king with prestigious Mt. Makiling Award". Los Baños Times. 2014-01-28. Retrieved 27 November 2016. ^ "No. 46627". The London Gazette (Supplement). 7 July 1975. p. 8697. Wikimedia Commons has media related to Carl XVI Gustaf of Sweden. The generations indicate descent from Gustav I, of the House of Vasa, and continues through the Houses of Palatinate-Zweibrücken, Holstein-Gottorp; and the Bernadotte, the adoptive heirs of the House of Holstein-Gottorp, who were adoptive heirs of the Palatinate-Zweibrückens.